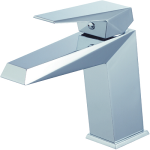 Faucets can range from different styles, colors, and shapes to fit anyone’s wants and desires. Designs have come a long way since the past of basic faucet presentations, but consumers are seeking more of a modern touch when purchasing faucets these days. Sometimes it is necessary to get something new to replace old faucets to change the appearance of the room or the overall function of it. Home Art Tile carries these fresh and inventive faucet creations so that a big difference can occur to people’s homes all around the world. Its headquarters are located in Queens, New York, and it was founded in the year of 2007. One of the goals of Home Art Tile is to bring elegant faucets to people and make it affordable for everyone. Bathroom faucets have really changed over the years, and the new and improved designs are absolutely beautiful to look at with new maneuvers that make washing hands fun to do. One in particular is called the Single Handed Lavatory . It’s design is very unique because of how the handle is made. It is pulled up from the top so the water can flow sort of like a waterfall softly. It is not the average bathroom feature. This faucet was made with a solid brass body and comes with a limited lifetime warranty so remodeling can be stress free. It also has a ceramic discharge. 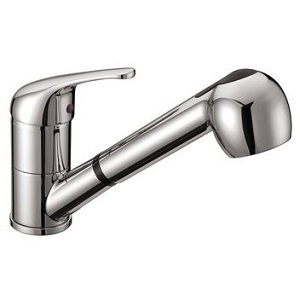 There is another single handed lavatory faucet such as #F01 112, and there is a distinct look with this one too with a body that is unlike most found on the market. There is a limited lifetime warranty that is included along with 1/4 Turn Premium Grade. It will turn around any bathroom around into a show place to relax in. Faucet #F01 107 is something special to consider as well, and its handles are on each side of this certain faucet for the bathroom area. It’s a Wide Spread 8″ Center-set with a ceramic set discharge. 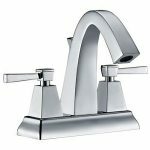 It comes with a limited lifetime warranty just like all of the other faucet products offered. The faucets in the kitchen can change the whole personality of that particular room, and they can make tasks so much simpler because of the new functions the obtain. The faucet with #8hA2 011 has an extraordinary brown color to it and was designed with quality materials. 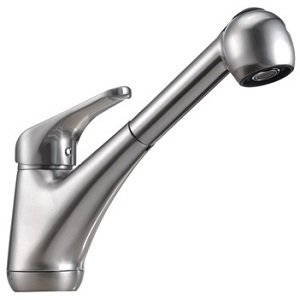 Now this faucet has a High-arc Spout with a wonderful pull down sprayer which is great for cleaning vegetables without having to bend so far because the fun pull sprayer comes down easily to get the projects done. There happens to be a soap dispensing option too, and that can save so much time when trying to wash dishes or other things. The body of the faucet described was made with a brass waterway, and it also has a hose that is extremely quiet to the ear. 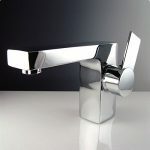 A two handle faucet may be an easier choice for some, and it comes with a sleek appearance. It is an #8hA2 004 faucet, and this one has been 100% factory tested for anyone interested in what this piece has to offer to the space. Home Art Tile will handle any faucet replacement matter so call anytime and speak with any friendly representative staff available.